There are many fashionable towns in Tokyo. And Shimokitazawa ranks among the five most popular ones. Shimokitazawa is located in the northeast section of Setagaya ward in Tokyo. It is often referred to as “Shimokita.” It is especially popular among young people and students. 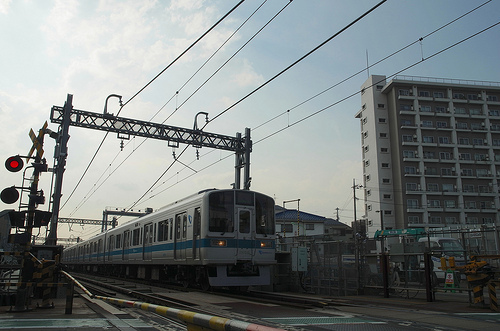 The area is affectionately referred to as Shimokitazawa and even the station is named Shimokitazawa. However, there actually is no geographical region or city by that name. Previously there was a town called Shimokitazawa-mura, which has now been renamed Kitazawa. 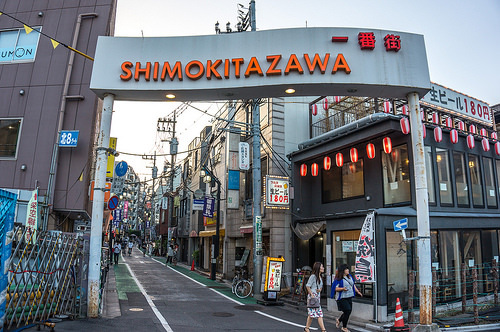 But people still refer to it as Shimokitazawa from its old name. 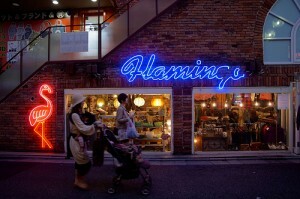 Shimokitazawa is very attractive with full of fashionable cafes, old-clothes shops, general stores, and clubs. 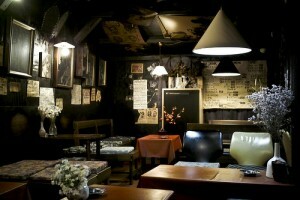 Now we would like to show you some recommended points of Shimokitazawa! ☆Easy to go from the center of Tokyo! There are two railways from the center of Tokyo to Shimokitazawa and you can go Shimokitazawa from Shibuya, Shinjuku, or Kichijoji without exchanging the train. It takes only around ten minutes from the downtown area to Shimokitazawa at less than 200yen. It is good for young people, isn’t it? Due to those reasons, Shimokitazawa is always ranked high at Best-Cities-to-Live. There are many old-clothes shops in Shimokitazawa. It is one of the main reasons why it is said to be the fashionable town. You can find old-clothes shops all over the town and will be able to get from brand name goods to one of a kind inexpensively. There are also vintage stuff or reformed clothes and you will surely find the one you like! Fashionable cafes are attractive points of Shimokitazawa. When you walk around there, you will find fashionable cafes here and there in the town. There are various kinds of cafes from retro style one with a relaxed atmosphere, to old Japanese house style one, the one with a small gallery, the one standing calmly on a back street, and so on…It will be enjoyable to go around there seeing cafes! There are many clubs, small theaters, and art schools. So many young people who want to be a musician, an actor or an actress come together there. There are also many secondhand bookstores or gegeneral stores, so it is famous as a town of subculture, too. ☆A busy shopping street and a calm residential area stand together! The shopping street around the station is busy with a lot of people, but walking a bit from there, you will find a calm residential area with houses and shools. As the busy and calm areas stand next to each other well, it is very comfortable town to live. It is enjoyable to walk around there freely! How was it? Shimokitazawa is a fashionable and relaxed town. How about walking about there all day?